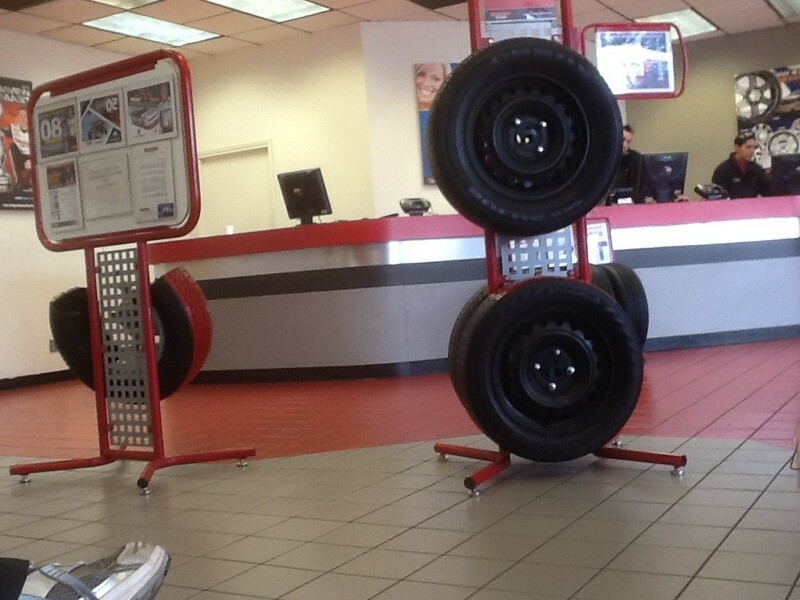 I’m listening to “Santa Baby” at our local tire store. “Jingle Bell Rock” just finished playing. I’ve been here for half an hour, long enough to start tiring of the relentless holiday music. It’s November 17. How am I going to feel by December? I don’t really think I’m a Scrooge. I love the winter holidays: the color, the lights, the wonderful food – and yes, Christmas carols. But why can’t it wait until AFTER Thanksgiving? Of course, I know the answer to that. It’s the economy – or rather, the retail sector that depends on Christmas sales more than any other time of year. It’s no wonder they try to make the season last longer and longer each year, to the point that in 2012, chains like Target will be opening up Black Friday sales while my family is still enjoying our Thanksgiving pumpkin pie. I’m not sure why America’s Tires is pushing the season. I suppose there are people who come in here to replace a flat and buy a set of wheels on a whim? I have a lot of friends who have already thrown themselves into the holiday spirit. They are shopping, baking, crafting and sending out their Christmas cards. I am in awe of their Martha Stewart-ness. Because I can only handle one event at a time, and yesterday it was wishing my niece a Happy Birthday because I saw the reminder on Facebook. And trying to figure out what to get my husband for his at the end of the month, which coincides with the LA Auto Show, which I must also prepare for. Christmas and Chanukah shopping and wrapping and cooking and cleaning will just have to wait until December 1. But I haven’t forgotten Thanksgiving: I’m here to get my tires rotated and properly inflated before I drive up to my sister’s place in Sacramento, where I will eat too much, imbibe too much champagne… and that’s when I will start to watch Christmas movies on video. And I’ll enjoy it all the more for being at the right time.